We’ve just wrapped up our 2018 season earlier this month and it’s officially time to start preparing for our 34th season in 2019! We’re honored every day to be Long Beach’s resident professional theater company, and we are so excited for the stories we are going to bring you in 2019. In our season of Music, Merriment, and Meaning, we are thrilled to bring you 2 award-winning musicals, 2 heartfelt dramas, and the world premiere of a new comedy! 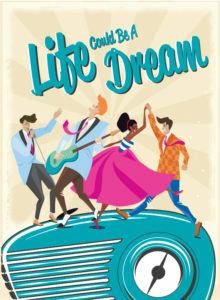 Starting off the New Year is a trip down memory lane with Life Could Be A Dream (Feb 20-Mar 10) by Roger Bean, the mastermind behind The Marvelous Wonderettes. These 50’s and 60’s hits say it all; Fools Fall in Love, Tears on My Pillow, Runaround Sue, Earth Angel, Stay, Unchained Melody, Lonely Teardrops, and The Glory of Love. Winner of the Los Angeles Drama Critics Circle Best Musical Award, Life Could Be a Dream will leave you laughing, singing, and cheering! Next in the lineup is Arthur Miller’s Tony-nominated play The Price (May 8-26); a riveting story about the struggle to make peace with the past and create hope for the future. Hailed by The Wall Street Journal as “the best thing Miller ever wrote,” we are invited to examine the life of a family through compassion, humor, and rare insight. 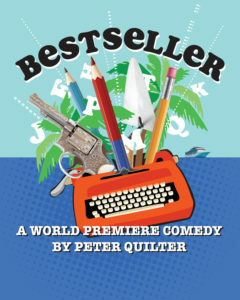 Following that, we are SO excited to be presenting the World Premiere of a brand new play, Bestseller (June 12-30) by critically acclaimed British playwright Peter Quilter (End of the Rainbow, Glorious!). Bestseller is an eccentric comedy is about writers and how they write; the stories they tell and the secrets they keep. On a writer’s retreat in an isolated cottage, three novelists settle into their home and we see their three comical and compelling books suddenly come to life on stage. 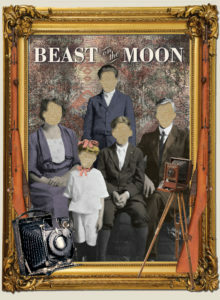 Next in the lineup is an ICT revival from 1997 is Beast on the Moon (Aug 21-Sept 8) by Richard Kalinoski. It is 1920’s Milwaukee, and Aram Tomasian is seeking a fresh start in America after narrowly escaping the Armenian Genocide of 1915. He selects a mail-order bride and into his life comes an Armenian teenager, Seta, and he learns that building a marriage and a family is more difficult than he anticipated. Peppered with humor, irony, and bittersweet surprise, Beast on the Moon is a universal story of hope, healing, redemption, and finally, love. 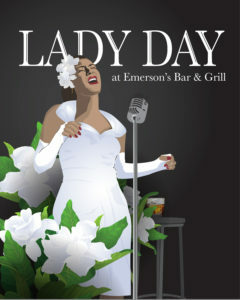 To wrap up the 2019 season, we will conclude with Lanie Robertson’s Tony award winning musical Lady Day at Emerson’s Bar & Grill (Oct 16-Nov 3). An all-access pass to Billie Holiday’s final concert, Lady Day is full of heart-melting numbers like “God Bless the Child,” “Strange Fruit,” and “What a Little Moonlight Can Do.” Billie bares her loves and losses in this intimate and stunning Tony Award-winning Broadway musical. All plays in 2019 will take place at the Beverly O’Neill Theater at the Long Beach Performing Arts Center. For dates, tickets, or more information and purchasing a season subscription to save money, please call us at 562-436-4610 or visit us online at www.InternationalCityTheatre.org. All graphics designed by Tressa Reddy.